The above quote comes from Chilean President Salvador Allende, drawn from a speech given in México in 1972. We have seen how this system invests huge amounts of time and resources into the expansion of its consumerist anti-culture, and we must respond by building community work and our own institutions that pull barrio youth away from alienation, self-hate, violence, and substance abuse. Revised and accepted at UdB 1st Conferencia Regional Sobre la Lucha de Jóvenes, 06/23/2012. 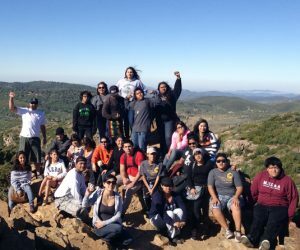 The majority of our community work that focuses on youth is done through our youth project Somos Raza.